Ruel Johnson brings a lifetime of experience to training horses and riders, and believes that building a quality foundation of skills is the key to success. 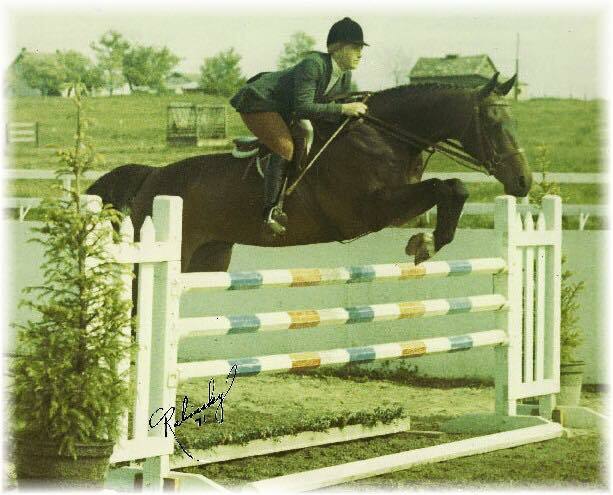 Ruel founded Blue Heron Farm after riding professionally on both coasts, and is a prominent figure in the Hunter Jumper community. Ruel’s riders have won many State and USEF championships, World Championship Hunter Rider awards, as well as going on to ride and teach professionally. Ruel has a love of the show horse and finds her greatest passion is to safely get people hooked on riding. We’re so thrilled to announce our new head trainer Ashley Williams! With over twenty-five years’ experience in the hunter/jumper industry, Ashley has been successfully competing up and down the east coast since 1992 in both the Grand Prix’s and National Hunter Derbies. Having trained under Helen Goddard out of Colts Neck, NJ for a majority of her career, she believes in understanding the basics; a strong foundation of flat work, the mechanics of how each horse moves as an individual and it's translation into their overall well-being. The goal of her program is to educate both the rider and horse in a classical, logical system of training and competition.